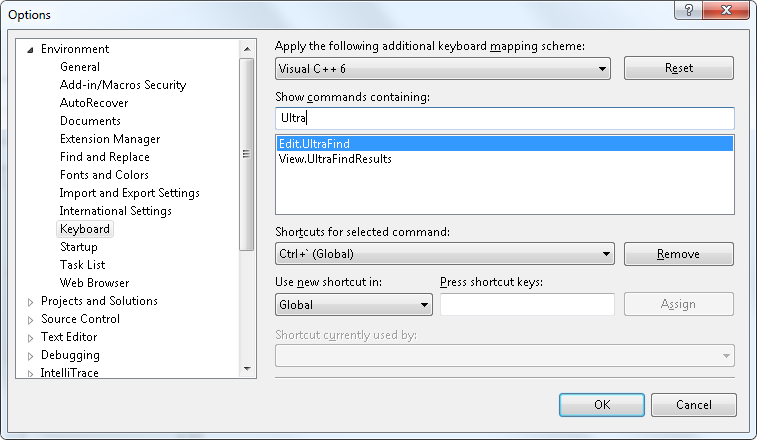 These instructions explain how to configure Windows Search for use with Ultra Find. 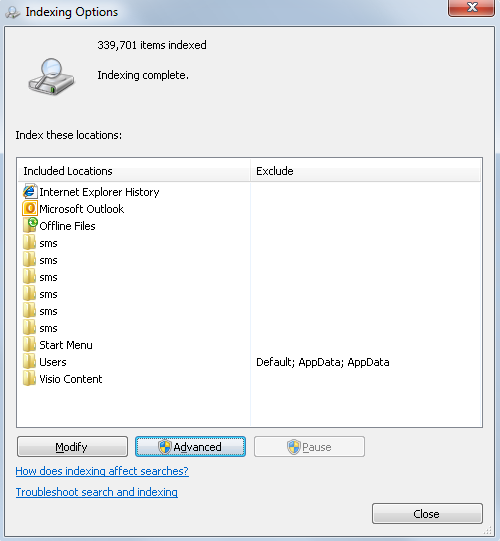 Windows Search comes with Windows Vista and Windows 7. It is also available as an add-on for Windows XP. 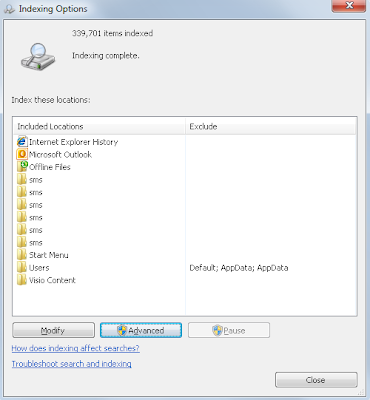 If you are using Windows Server 2008, you may need to add the Windows Search feature manually using Server Manager. Also, ensure that this service is running and not disabled. The index can be configured through Control Panel (search for Indexing Options). Use this screen to add and remove indexed locations. Add each root location of your source tree to the index. 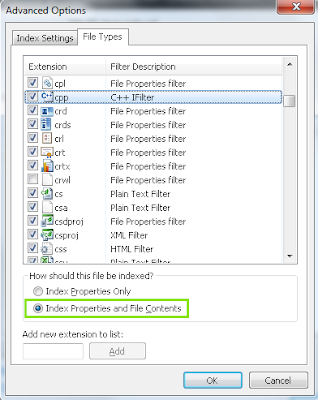 More importantly, make sure all necessary file extensions are configured to have content indexed. Click the Advanced button on the Indexing Options screen, then select the File Types tab. 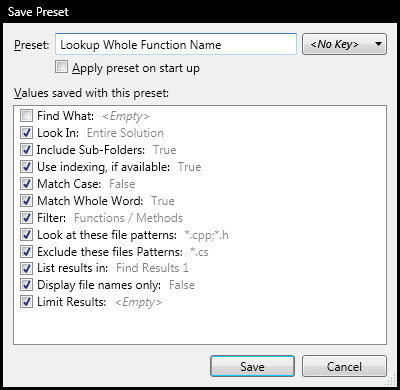 Select and add all the file extensions that you would like to have indexed. 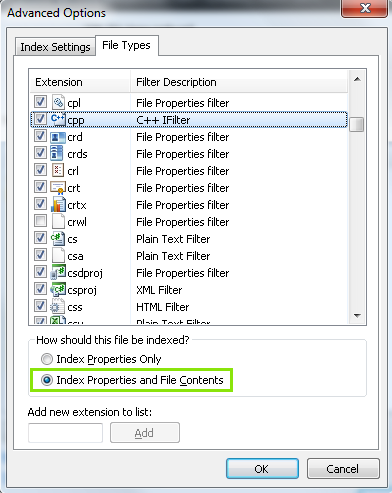 Make sure the Index Properties and File Contents radio button is selected for each file type. 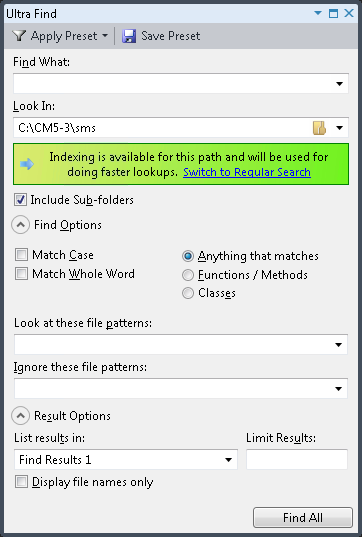 Upon accepting the changes, Windows Search will perform a full crawl of each indexed location. Depending on how many files there are, this can take a considerable amount of time. Ultra Find will display a progress notification, if you choose an indexed location while Window Search is in the process of crawling. When the crawl is complete, Windows Search will incrementally track new changes of the indexed content.